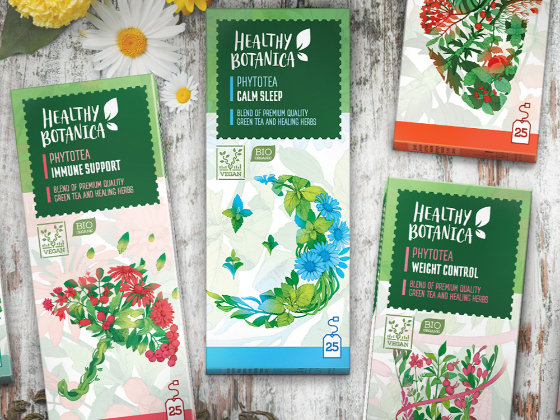 Branding Agency Unibe together with the Ryazan tea factory brought a new brand “Healthy Botanica” to the Russian market. 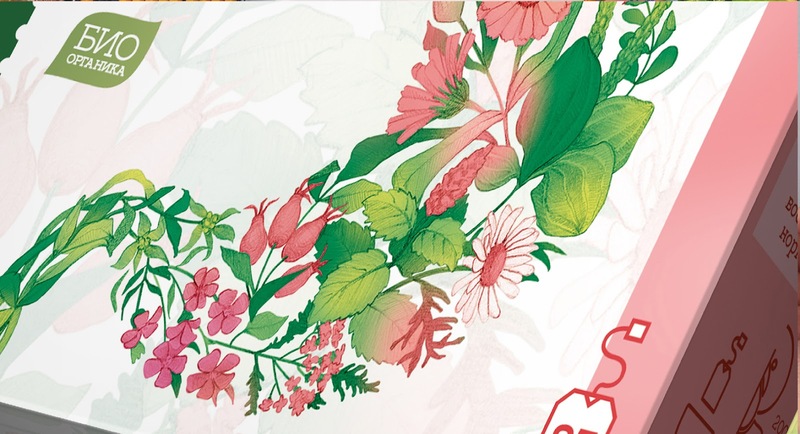 Phyto tea "Healthy Botanica" is created for those who adhere to a healthy lifestyle and monitor their health. 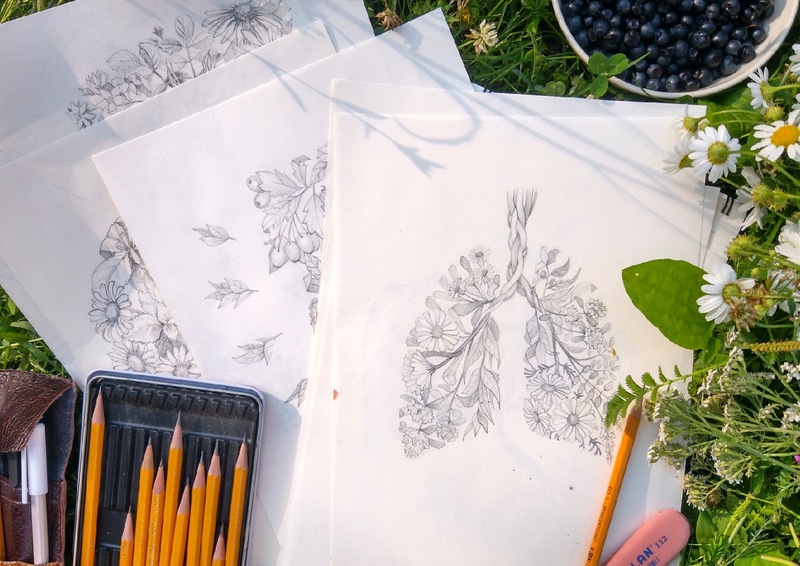 The composition of herbs in each drink is selected taking into account the pharmacological properties of plants. At the same time, the drink has a pleasant taste and aroma, since 30% of the composition is selected tea. 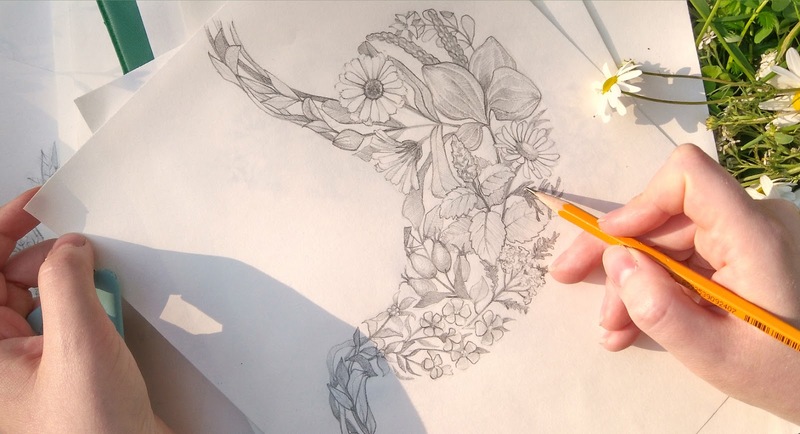 The agency was tasked with developing a trademark logo and packaging design that would fit the brand strategy and adapt the design for 16 SKUs. 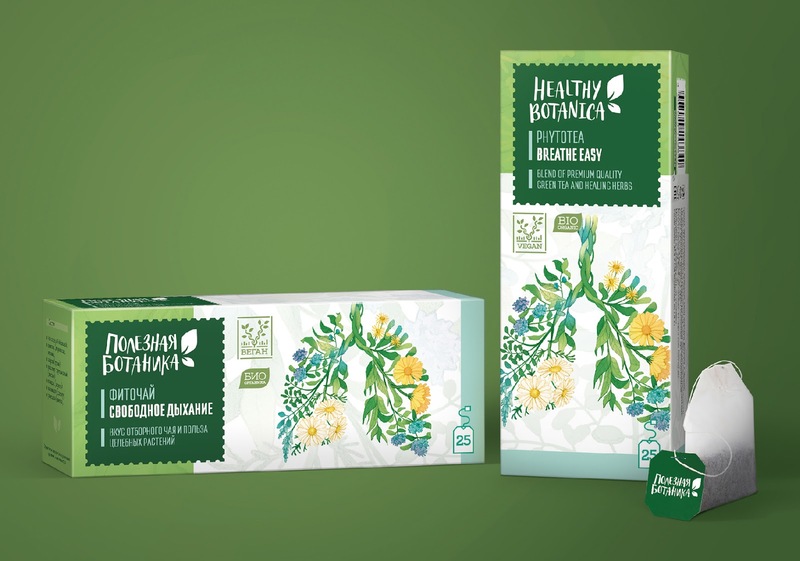 Emotional packaging design with a demonstration of the natural composition of tea emphasizes not only its usefulness but also helps the consumer in choosing the right type of tea. 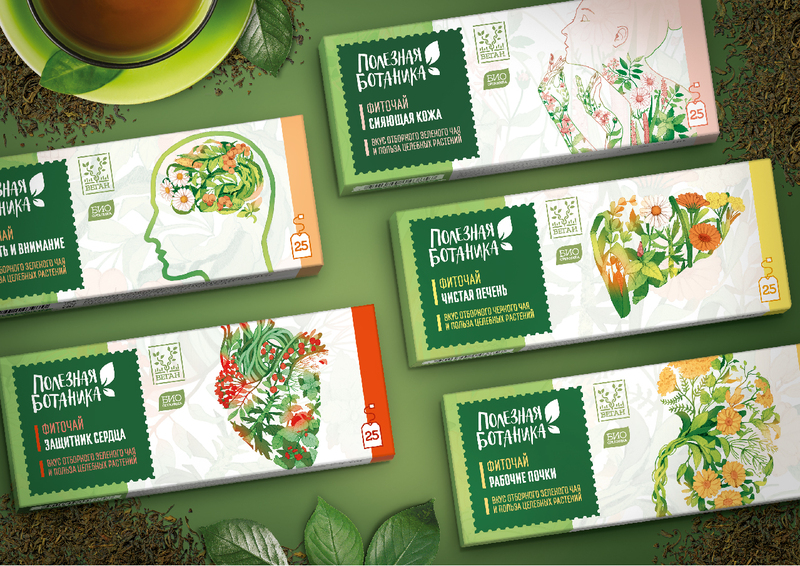 Ryazan Tea Factory is a brand whose history began in 1954. Among trading partners are leading federal, regional and local retail. 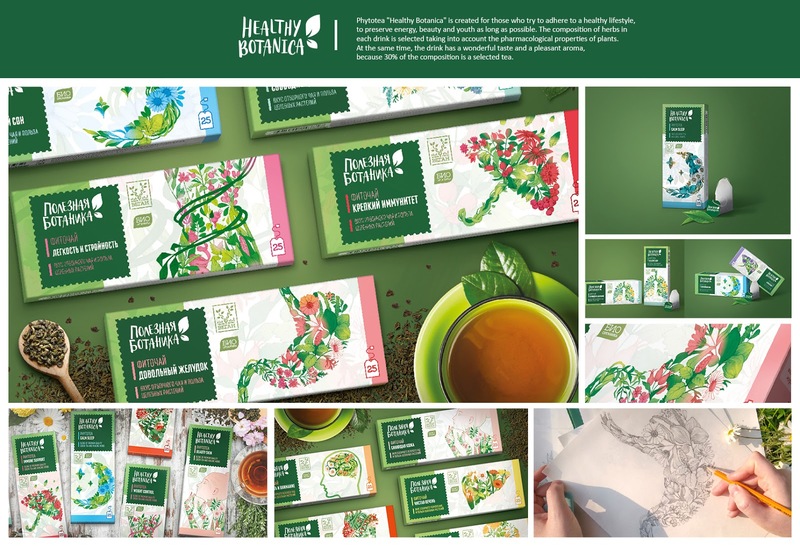 The concept is based on illustrations showing the composition of herbs and useful plants that are included in the blend of each type of tea.